HubSpot has found personalized calls-to-action have a 42% higher view-to-submission rate than calls-to-action that are the same for all visitors — that’s almost double your potential email subscribers. If you haven’t yet started building an email list (but know you need to), this article is for you. You may have heard that a strong email list is one of the most valuable assets you can have, but when you’re starting from scratch, it’s easy to feel overwhelmed. You’ve probably heard people say, “the money is in the list”. What does this mean? 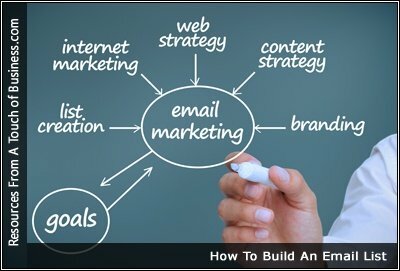 In online marketing, you need to learn how to create an email list fast and from scratch. This is the best form of communicating with your customers. Even though social media gets a lot of attention, the most valuable digital channel is building your email list for free. Email marketing lets you stay in touch with new customers and entice them to come back to your business. The more you focus on list building, the more opportunity you’ll have to create customers. That means you have to always be growing your list.